One of the big phenomena in the cardmaking world lately -- really for some time now -- has been the Eclipse Technique. A couple months ago, one of my Stamp-In girls asked me if I could create an eclipse card for the girls to make at one of my monthly Stamp-Ins. Not possessing the Large Letter Framelits (page 218), which is what most of the eclipse makers seem to use, and preferring to spend that money on other product, I ended up using other large letter dies that I'd had. In researching for this card, I checked out lots of tutorials and videos on the Eclipse Technique. I decided to do a few modifications on all the variations out there, and I came up with my own take on the technique. Thus, my name "Faux Eclipse". that I'd done my "S" upside down. Grrr. My simplified version of the Eclipse Technique is quite easy and lots of fun to do! And, to me, the nicest thing about a card is when it turns out to be perfectly flat -- wonderful for sending through the mail without fear of needing to pay extra postage. Yay! If you keep reading, I will present to you my tutorial on making this Faux Eclipse card. Stamp three of the flowers on the cardstock. (Try to do a better job of spacing them than I did in my sample. Several of the girls at my Stamp-In stamped the flowers randomly all over the cardstock and filled in with the little green dots. Looked great!) Stamp the larger, more solid flower first, followed by the smaller flower atop in Flirty Flamingo ink. Add centers in Mango Melody. Add a few of the dot clusters in Soft Seafoam ink to the rest of the background. Once you are satisfied with your stamping, line up the dies to spell "hugs" pretty much centered. (Another change a couple of the Stamp-In girls made was to add the letters in a less than straight line -- much happier and less formal looking!) Once you have the letters spaced the way you want them, you can hold them in place with some sticky tape. At the Big Shot, run the piece through. Mount this piece with the letters missing onto a 4" x 5 1/4" piece of black cardstock. Using miniscule dots of glue, add the letters back in, but shifted just slightly to the right. Adhere the finished piece to the card base. The July 2018 Paper Pumpkin kit, Picnic Paradise, is cute-ness overload. Every time I look at the components in the kit, my thought is, "FRUIT SALAD"! One of the projects in the kit is a set of darling 3" square fruity cards to make. While that size card is adorable, I don't find myself in need of them too often. So, I elected to make at least one of my cards into a traditional A2 sized card. Below is what I came up with eventually. What the cards in the kit are meant to look like if the instructions are followed. Since I was planning on creating at least one A2 sized card, I wouldn't need one of the envelopes, right? I opened up one of the apple envelopes and cut it up. Yup! Courageous, huh? I used just the decorated front of the envelope, adding the greeting, which came in the kit, in Granny Apple Green ink. I then trimmed down the envelope front just a bit so I could mount it onto the Crumb Cake card base in the kit. I cut that card base in half, then mounted my envelope piece to it. That was adhered to a 3 3/4" x 5" piece of Crumb Cake cardstock (from my stash) with Stampin' Dimensionals for a bit of pop. Then onto a 4" x 5 1/4" piece of Whisper White cardstock, and finally atop a Granny Apple Green card base (both also from my stash). At this point, I was stumped. Whoa. It was so naked and unfinished looking. I added the row of vertical lines (stamp in the kit) in Crumb Cake. Well, it balanced it somewhat. But . . . Not good enough. The kit came with diecut apples, strawberries and blueberries. I added one of the apples over the vertical lines. Huh. I called it finished at this point. Still not crazy about it. But, what else could I do? I was sleeping that night, when what to my dreaming eyes should appear -- an APPARITION! This apple desperately needed a WORM! And I had the perfect stamp! After the worm was added, I also stamped in the row of dashes below the sentiment. There! Now I was happy(-er)! I'm curious: What are your thoughts about 3" x 3" cards? 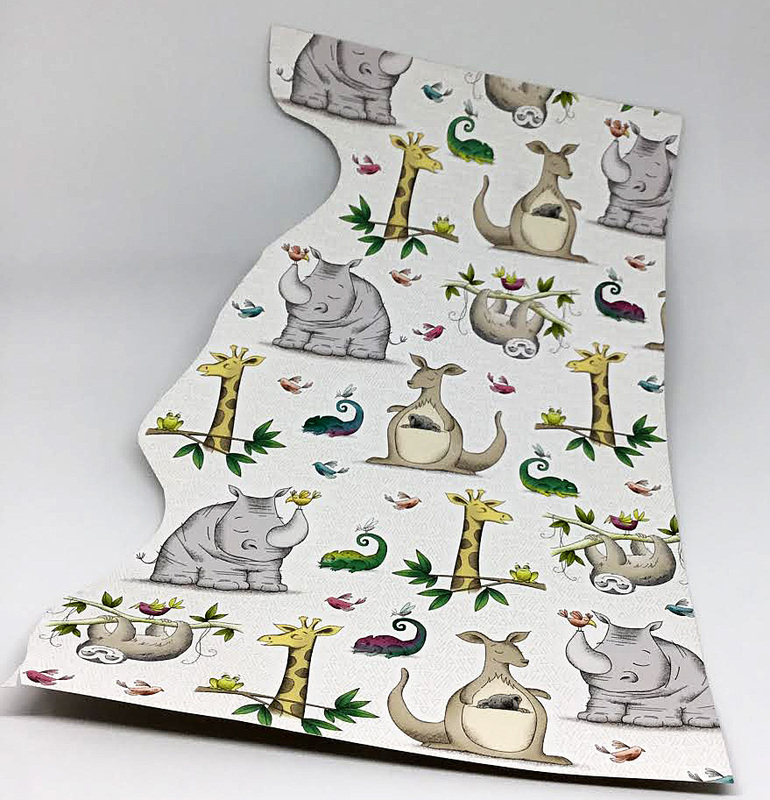 Although the envelopes are simply adorable, they cannot be mailed without putting them into a larger envelope. I see them as being the most useful as enclosure cards for hand-delivered gifts. Please share your thoughts! There is a little story behind this woefully out-of-date card. I mean, Father's Day was a month ago, right?? Well, my Stamp-Ins are always held the second Monday of each month. So, the June workshop was scheduled for Monday, June 11. The Monday before Father's Day. I thought the timing was perfect to make a Father's Day card. And, those who had no use for such a card could make it -- a welcome masculine-toned card -- for any other occasion. Unfortunately, much to my chagrin, the Stamp-In had to be cancelled for the month. Well, to be honest, I really liked the four cards I'd created for the girls who were to attend the Stamp-In. So, I decided to hold them until the July Stamp-In, which SHOULD have been held last Monday, July 9. However, I needed to re-schedule it to a week later, which fell on (yesterday) Monday, July 16. Even though Father's Day was not an upcoming occasion anymore, I decided to still go with the card, but selected a variety of sentiments (other than Happy Father's Day) that the attendees could replace it with, fitting nicely inside the same parameters. So, that's my story. And I'm sticking to it. 'cause it's the truth and nothin' but the truth. The focal point of this card is the trio of pens that comes in the Crafting Forever set found on page 179. Rather than just stamp the pens onto plain Mint Macaron cardstock, I decided to dress it up a bit and go with the torn edge technique. Keep reading! One of the highlights of the card is the use of papers from the beautiful Wood Textures 6" x 6" Designer Series Paper on page 191. This set of woodgrain papers is nothing short of spectacular. If you haven't seen it in real life, you are missing out! Now, how would you like the secret recipe to make this timely card yourself? Fold a 5 1/2" x 8 1/2" piece of Very Vanilla cardstock in half, creasing it well with a bone folder. Roughly tear a few pieces of scrap cardstock that will fit across a 3" wide piece of cardstock. You will be doing this next step on a 3" x 4" piece of Mint Macaron cardstock with Mint Macaron ink. OK. Look at the sample: the darker portions of the cardstock? That is the inked area. The lighter portions are where the torn strip was lying. Lay one of the torn strips of cardstock near the top of the piece. Using a Stamping Sponge, gently sponge at the tear line. Remove the torn piece, and taking another piece, or reusing the same one, reposition it, and do another line of sponging. Continue on down the cardstock until you have sponged wavy areas top to bottom. In black ink, stamp the three pens about 1/2" from the top. Add a 1" x 3" strip of Very Vanilla cardstock about 1/2" from the bottom. BEFORE adding the wood strip, adhere a piece of the brown ribbon onto the center of the wood, tucking the ends to the back and taping them in place. NOW add the wood strip on top of the Very Vanilla strip. Add a piece of the wood DSP that measures 2 1/4" x 5 1/4", butted up against the green piece. On a 1 3/4" square piece of Very Vanilla cardstock, stamp your sentiment in black ink. Fold a 3" piece of the brown ribbon in half and tape it to the back of the sentiment square so it hangs down in two tails. Now add this piece to a 2" square of Mint Macaron cardstock. Use a few Stampin' Dimensionals to attach it over the wood piece. If you've been following Paper Seedlings for more than a few months, you are already aware that I am completely obsessed with Gelli Printing. Sometimes I get prints that are not quite good enough to keep and cherish, but are appealing enough to be used in another way -- namely in cardmaking. I had accumulated a stack of these prints, so I thought it would be a good thing to incorporate Gelli prints within one of the projects I created for a Stamp-In. All the prints were different. So, to have one common denominator, I used a combination black/white color palette for all the cards. No matter which of the prints was chosen, the finished card would have a uniform look and work well. The card below is the one I used for my sample for my May Stamp-In. 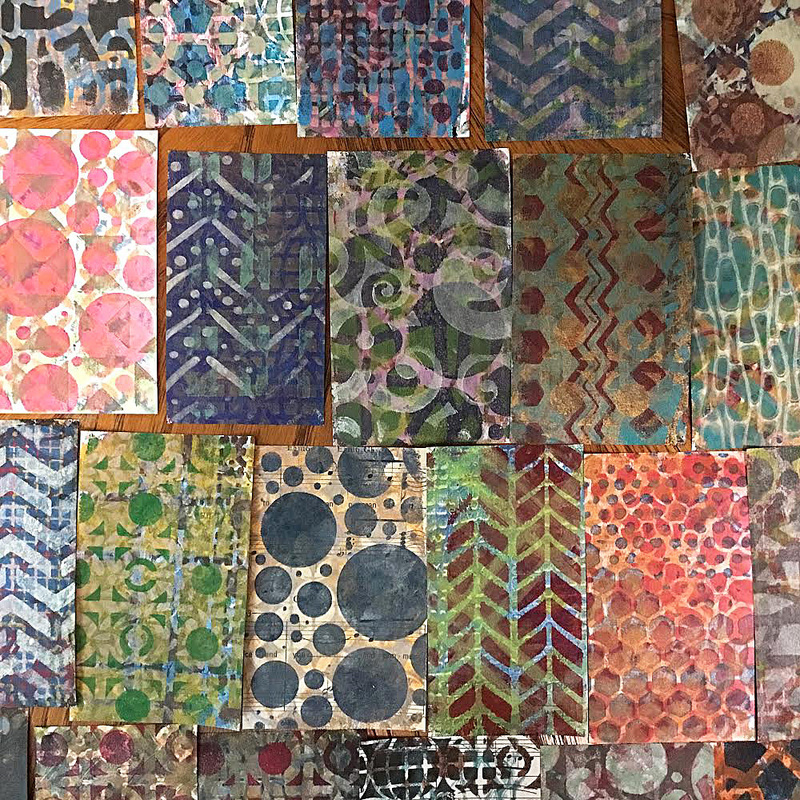 In case you are not familiar with Gelli printing, the mishmash of prints shown in the following photo are what I've been working on for about the past week or so. My favorite size Gelli plate to work on is 3" x 5", so the prints are the perfect size to use in creating cards. I have been experimenting with various types of papers, including music, notes from my notebooks while I was taking classes a year ago, small notebooks where I kept track of ATC swaps I'd been involved in about ten years ago, old dictionary pages, the Yellow Pages!, anything I can get my hands on is fodder for my printmaking. I especially love it when little elements -- music, words, stamping -- poke through some of the designs. To add some Stampin' Up! flavor to my Stamp-In card, I used the beautiful sentiment from the Colorful Seasons set (page 161), the maple leaf die from the Seasonal Layers Thinlits (page 219) that coordinate with Colorful Seasons, and a gorgeous square using the Stitched Shapes Framelits on page 220. Plus Stampin' Dimensionals, of course! 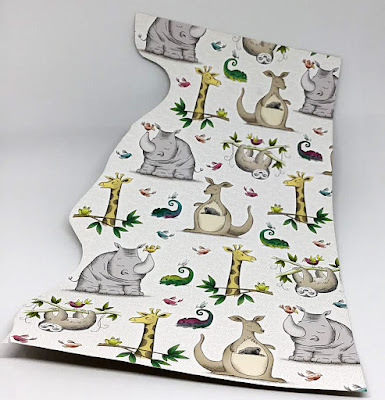 By adding elements that are not too overpowering, it is possible to still enjoy the design of the print. Fold a 5 1/2" x 8 1/2" piece of black cardstock in half, creasing it well with a bone folder. Add a 4" x 5 1/4" piece of white cardstock to this card base. 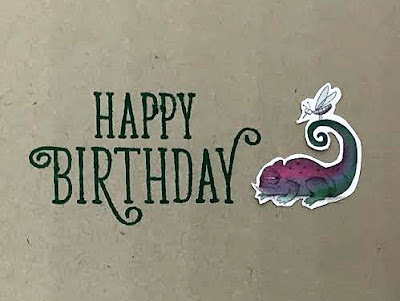 Before you forget, add a piece of white cardstock in the same size inside the card for writing your message on. Mount your chosen Gelli print (or DSP) onto a 3 1/2" x 5" piece of black cardstock. Add this to the card base. Using gold foil paper, die cut a maple leaf. Set aside for now. 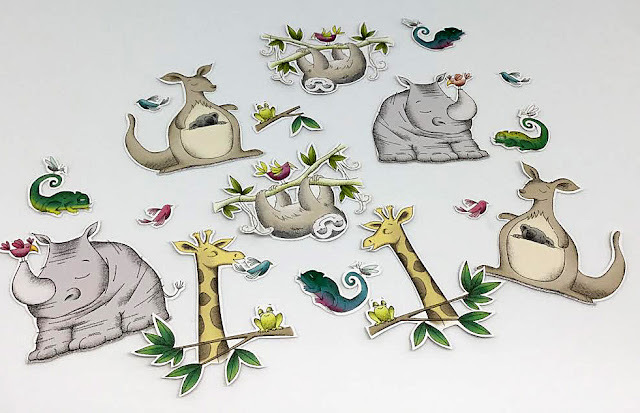 With the Stitched Shapes Framelits, cut a 2 1/2" square from Whisper White cardstock. Run the Embossing Buddy well over this piece. With VersaMark ink, stamp the sentiment in the center of the square. At the Heat Station, cover the stamping with gold embossing powder, tapping the excess back into the container. Use the Heat Tool to emboss the words until they are shiny and set. Use Stampin' Dimensionals to adhere the sentiment to the card, leaving even margins at the sides and top. Attach the gold leaf to the lower left portion of the sentiment piece. I decided that I should try that as a base for using Brushos. Depending on how you use the Brushos, it always requires a certain amount of water. Even though I taped my Glossy Cardstock to a firm surface and used water sparingly, the finished product is quite warped and wavy. In order to alleviate that problem somewhat, I firmly adhered it to another layer. That's the perfect description; the warping was alleviated only somewhat. Because of this curling problem, I probably won't use Brushos on Glossy Cardstock again. Or, if I do, I will be sure to dry it underneath something heavy in hopes of flattening it. Whether I try it again or not, it was really a lot of fun to experiment with this surface that was new <to me>. Shown below is a photo that shows the background more close-up and personal. Looking at it now, however, makes me wonder if it would resemble one of those galaxy techniques if I used a darker color palette. Hmmm. Now I AM going to try it again on Glossy Cardstock! Anyway, back to earth. This glossy background made a wonderful surface on which to stamp my jar of creativity in black. Have you tried the Brushos yet? What is your opinion of them? Do you find them easy to work with? What is your favorite surface on which to work with them?